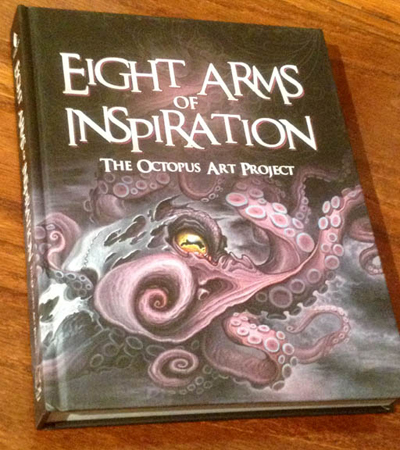 Eight Arms of Inspiration, the latest release from memento Publishing, features an extensive collection of octopus-related artwork from around the world. 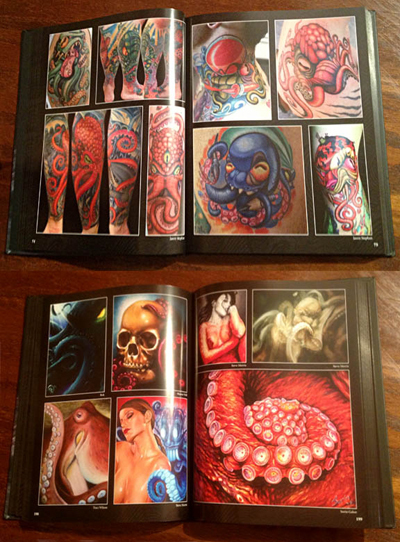 With a diverse array of mediums included, the octopus is interpreted in nearly 1,000 different ways by over 440 artists of many genres and disciplines. This collective project brings together a creative and colorful ensemble to celebrate and honor the eight-armed cephalopod with three hearts, no bones, and blue blood known as the octopus.